Asdrubal Cabrera, Texas Rangers - Asdrubal Cabrera went 1-for-4 at the plate with his third homer of the year on Tuesday. He drove in two runs as well bringing his season total to seven and he scored his fourth run of the season. Cabrera has been off to an extremely good start for the Rangers, posting a .242 wRC+ thus far while still hitting in the lower half of the Rangers lineup. Cabrera swatted 18 homers with the Mets in 98 games last year (along with 5 on the Phillies) and now he's in a significantly better hitters park so there's a definite chance that he can match last year's power output. He saw launch angle increase last season from 11.3 to 14.3 degrees, and his early totals this year are 18.9 degrees to go with a 93 MPH average exit velocity. He was severely undervalued on draft day and he still has an ownership of 85% so there's a slight chance he's out in there in some 10 team leagues. Clint Frazier, New York Yankees - With Giancarlo Stanton headed to the IL, Clint Frazier was called up to the Yankees. He was immediately slotted into the lineup on Tuesday, hitting seventh and playing DH. He went 0-for-4 at the plate but drove in the lone Yankee run on a sac-fly. It's been over a year since we saw Frazier at the major league level after dealing with post-concussion issues all last season following an injury in spring training. His prospect pedigree has faded a bit since he was a first-round pick. Frazier still has a solid combination of power and speed though and is definitely worth adding in deeper leagues and can get some 10-12 team love based on team constructing because he'll be playing every day. Anthony Alford, Toronto Blue Jays - Anthony Alford was called up to the majors following the trade of Kevin Pillar to the Giants. This was a move that needed to be made as Alford was hands down the best OF on the Blue Jays this spring, and this clears him a spot where he can play every day. He hit seventh for Toronto and went 0-for-3 with a strikeout. Alford is a more intriguing add for me than Frazier right now due to his ability to steal bases at a higher rate, while also having solid OBP potential and can run into a few homers here and there. The only threat to his playing time as well as his own performance while Frazier is on a team loaded with talent. 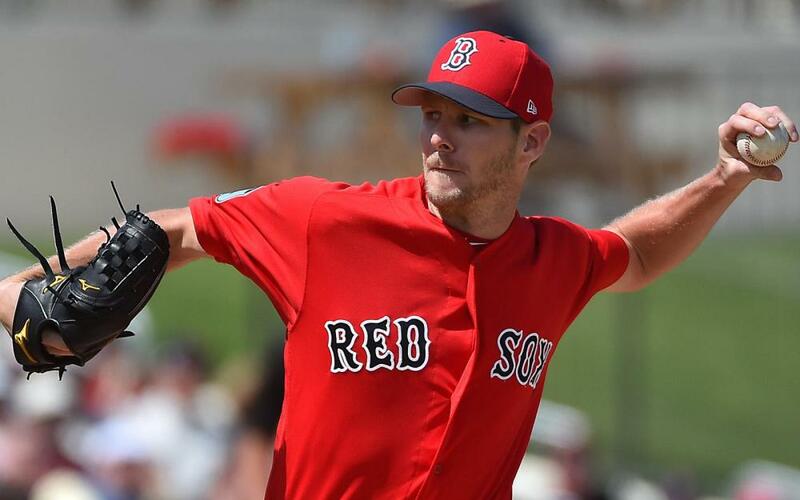 Chris Sale, Boston Red Sox - Okay now it's concerning. Chris Sale's final line didn't look awful, as he tossed six innings and allowed just one run but once again he was averaging under 90 MPH again on his fastball. He struck out just one batter in this outing and he now has five strikeouts in his first nine innings this year. He's also already walked four batters in this short span, and the homer he allowed is his fourth already this year. My gut with Sale says that we need to give this at least one more start to see what the velocity is doing, as there are some theories going around on twitter amongst the baseball community that he's doing this on purpose. There's some level of belief that he is looking for more command instead of velocity, but when he's not doing either well you'd think he'd abandon it. I think after next start if he's still sitting below 90 MPH again then we really need to worry. Aldaberto Mondesi, Kansas City Royals - Aldaberto Mondesi homered for the first time this season, and it came via the inside-the-parker variety. He decided to get all his firsts out in this game too with his first stolen base of the season. Mondesi is off to an extremely strong start to the season with a .412/.412/.941 triple slash, but as you can tell with that triple slash the issue that causes worry is still alive and well. Mondesi has yet to walk this year, and he's also striking out at a near 30% rate while running a .529 BABIP. There are still some concerns for sure with Mondesi, but he's definitely producing at a high level to start the season.